One of the most impressive archaeological museums in all of Greece, you won’t want to miss the chance to visit, especially if you love learning about the ancient history of Greece. Artifacts from throughout the Greek state of Macedonia are housed here, including those that date back to prehistorical times. You’ll also enjoy viewing the impressive Derveni Crater, which is a large bronze vase ornately inscribed with various scenes from mythology. The museum also has Greece’s oldest surviving piece of ancient Papyrus. The White Tower of Thessaloniki is one of the most recognizable features in the city. Perfectly located by the sea, there are some amazing photo opportunities here. You’ll also want to pay the entrance fee so that you can enter and climb the tower because it gives you such an amazing view of the surrounding area. Your photos will still be great, however, even if you decide not to climb it because the views surrounding the tower are also incredible. One of the most interesting things about Thessaloniki is that it is located in the state of Macedonia, which is rich in history and culture. Alexander the Great is perhaps its most famous inhabitant and in order to pay him tribute, there is a statue in the city dedicated to him. Although it takes only moments to gaze at it, seeing it is a reminder of the region’s colorful past. Not only is the statue well-made, but there are also some great views in the area near it. Another great place to learn about Thessaloniki’s extensive history is by visiting the Greek Agora and Roman Forum. Although it is in ruins, enough of it is still intact to give visitors an overview of how grand it really was. It takes a bit of time to walk here but most visitors report that the trek is worth it. You can also opt to take a guided tour here if you want to really learn about the history. Thessaliniki is a city that has a certain amount of energy, and it seems like it all congregates here as the market is going on. This is where locals and travelers alike come to shop for various goods, including food and even tourist items. In order to shop here, though, you need to be comfortable negotiating prices – otherwise it can be a very stressful experience for you. Regardless of whether or not you buy anything here, you really should stop in. 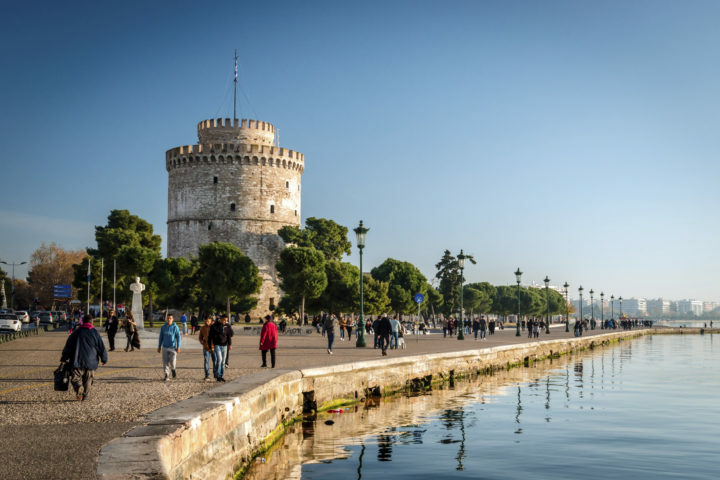 Here is an overview of some of the things you can do while in Thessaloniki.